Vintage Guitar always delivers the most interesting information on all kinds of vintage guitars, the great companies that built them and the artists who have been in the industry for years. We’ve been publishing since 1986! But, did you know Vintage Guitar gives a wide spectrum of coverage on new gear, new artists, and new recordings? 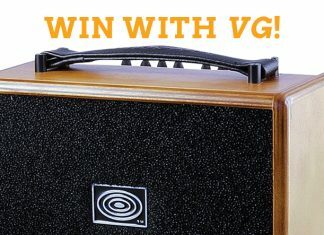 VG offers as many honest new-gear reviews as you will see anywhere, more exclusive interviews with great and up-and-coming players, and no other guitar mag reviews more new guitar music! Vintage and new in one place! So, yes, you can have it both ways! Add our great info on guitars, amps, and effects, our Price Guide, playing and repair tips, show schedule and FREE classified ads, and you get an amazing amount of useful guitar information. Regular Contributors – Willie Moseley, John Heidt, George Gruhn, Dan Erlewine, Michael Wright, Peter Kohman, Michael Dregni, Lisa Sharken, R.E. Bruné, Steven Stone, Wolf Marshall, Gil Hembree, Pete Prown, Dave Hunter, Phil Feser, Zac Childs, Bob Dragich, Chip Wilson, Will Kelly, Rich Kienzle, Jim Carlton, Oscar Jordan, Dennis Pernu, Rich Maloof, Tom Guerra, Ray Wuolo, Rick Allen, Greg Prato, Leah Greenwood, Sean Thorenson. Online Contributors – Greg Martin, Tom Feldmann, Ray Cummins, Andrew Hendryx, James Patrick Regan, Tyler Morris. 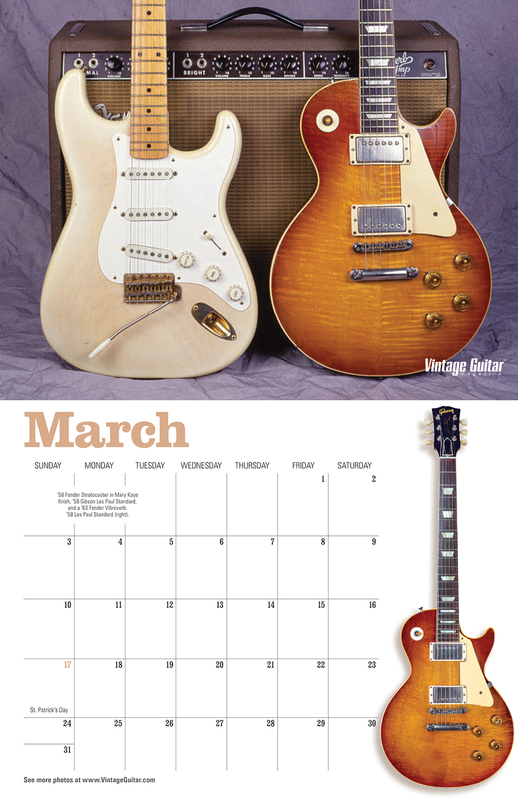 VINTAGE GUITAR® is the monthly publication devoted to all things guitar. We accept any news or information on any related subject. We are not responsible for errors in advertising beyond the cost of the space occupied by the error. VINTAGE GUITAR® is a registered trade mark and all the contents, including the price survey, are © all rights reserved. No part of VINTAGE GUITAR® may be reproduced or transmitted in any form or by any means, electronic or mechanical, including photocopying, recording, or by any information storage and retrieval system, including via the internet, without permission in writing from the publisher and author(s). Any and all material submitted to Vintage Guitar is with the understanding that the material may be used in any of the Vintage Guitar, Inc. publishing projects. Vintage Guitar, Inc. reserves the right to refuse any advertisement for any reason. 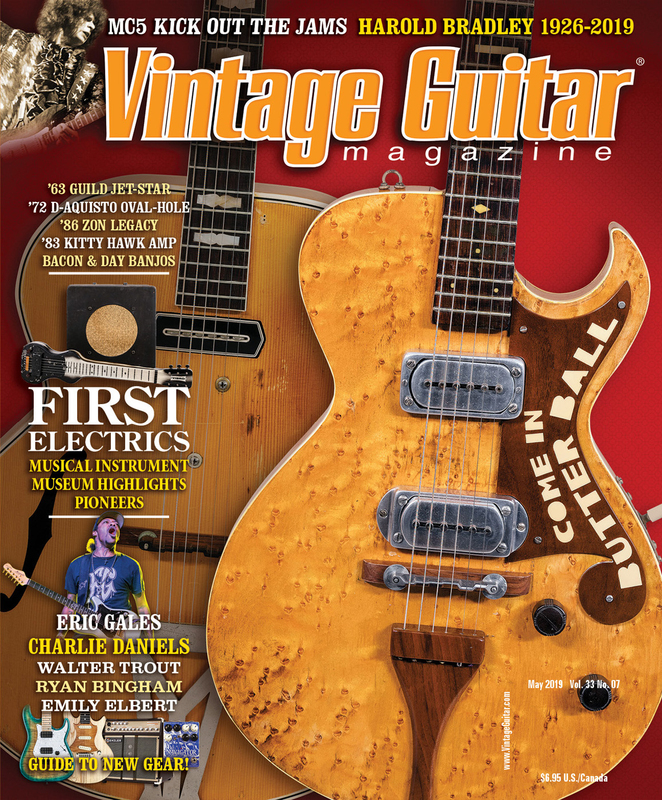 Published since 1986, Vintage Guitar magazine has, from its first issue, focused on rare, old, beautiful guitars coveted by everyone from local pickers to rock stars, actors, authors, and others. Along the way we have added features and reviews on new gear, great interviews, the latest cool new guitar-based recordings, and much more! Publisher Alan Greenwood started the magazine in 1986, first as a shopper called The Music Trader, aimed at music stores and musicians of all kinds. 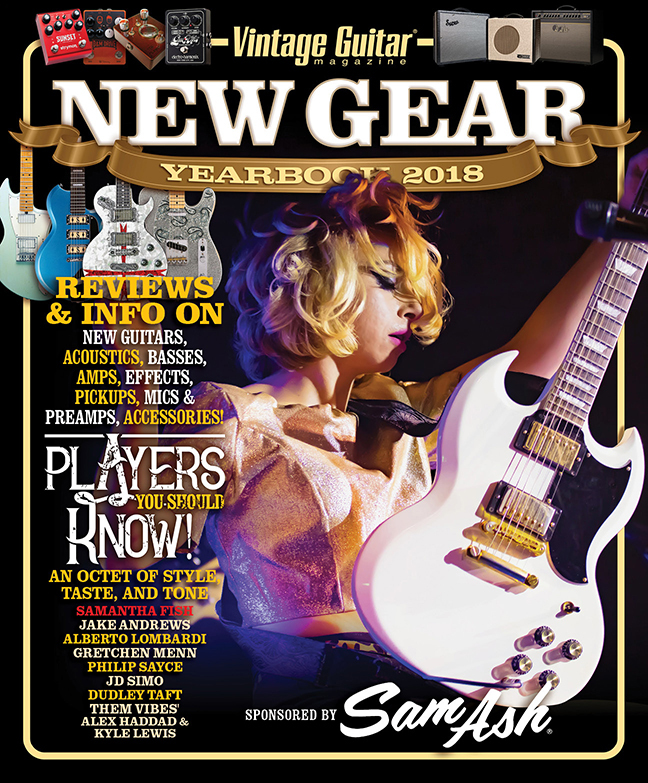 A guitar player himself, after only a few issues, he started adding guitar-related editorial content, and it quickly turned into a guitar magazine. Also, “We noticed all the ads we were getting were about old guitars,” he said. “So in 1990, we changed the name. As America’s economy picked up steam in the early ’90s, guitar values began a dramatic rise, and VG grew in terms of audience, editorial reach, and advertiser base. Today, VG staff consists of nine employees at its home office in Bismarck, North Dakota, and its editorial pages are filled with an an eclectic mix of articles by expert freelance writers from around the globe who cover a range of instruments and players with a vast array of musical styles. 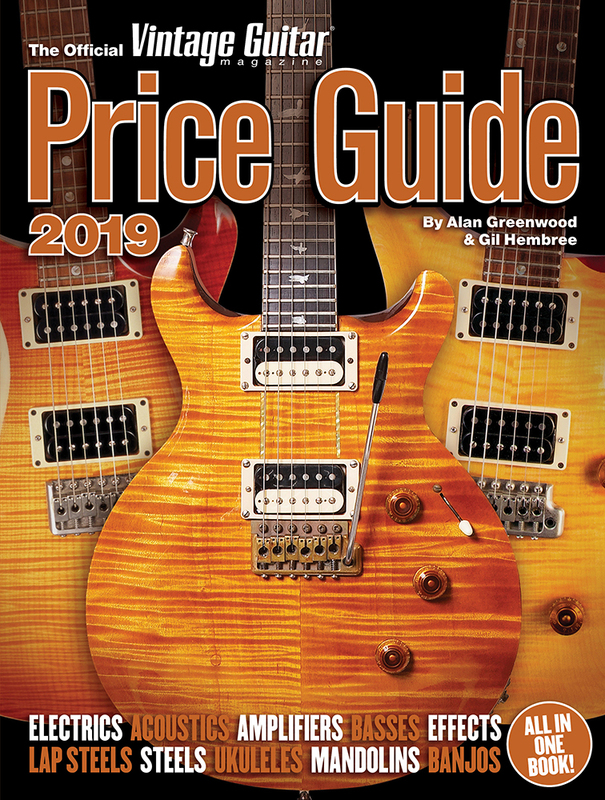 There are music reviews, gear reviews, and of course, the ever-popular “Readers Gallery.” The magazine’s advertisers include a range of guitar dealers, manufacturers (big and small! ), musicians, and readers/players from around the world.